Creating a beautiful home supports us in creating a beautiful life. My vision is to take your vision, who you are, what you love, and who you are becoming, and channel that into an environment that is welcoming, inspiring, and restorative. I seek clients who share my quest for what is real, true, and genuine. I am elated to share the magic my team has created — just for you. My purpose is fulfilled when I see the positive impact our work makes in our clients’ lives. In younger years I traveled to France and Italy, where I steeped myself in the worlds of art, food, and wine. In Europe, I grew more acute in my awareness of the ways that design and culture intersect; how we weave the threads of our personal lives and our culture into a rich tapestry that makes up our environment. My first career was in restaurant management; during that time my appreciation for the connection between setting, food, and community deepened. These powerful experiences formed the foundation of my core values as an interior designer: creating welcoming havens of beauty, comfort and grace that call us to perform the rituals of home and community — connecting with others, cooking together, dining together, playing, and relaxing. I am wild about transformation. I create beauty wherever I go. I cannot not do this. My greatest joy is when I create an environment that is even better than what the client had imagined for themselves. I design in every style: Modern, Contemporary, Traditional, Spanish, Mediterranean, Craftsman, and more. I bring a warm, classic, and timeless approach to the aesthetic style that matches your heart, your community, and your space. I love to be of service, giving to others through my work and via philanthropy. When I am not designing homes and restaurants, I enjoy engaging in energy-rich life experiences, including cooking and entertaining with friends and family and practicing the art of self-care with focused intention. 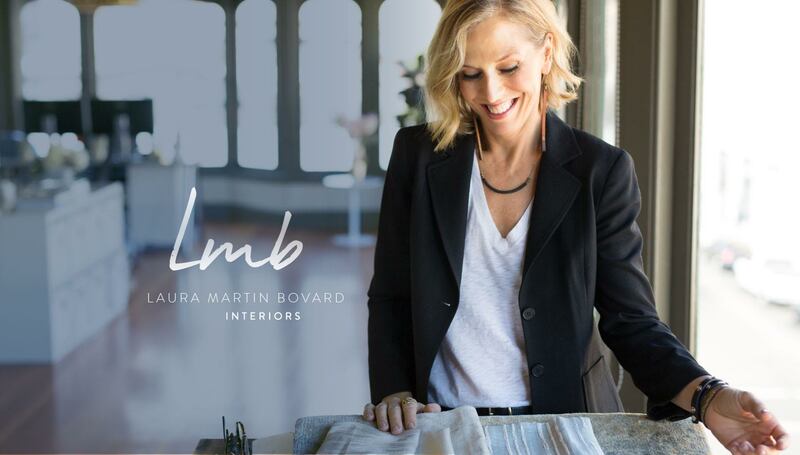 I started LMB Interiors in 2002 when I was pregnant with my first child. The one-woman firm that began in my dining room has grown to include a team of talented, dynamic, soulful designers who share my values of authenticity, warmth, and a livable approach to interior design; now located in an elegant urban-chic office in the historic White Building in downtown Oakland. As a group, we complement one another’s contributions to the whole with a deep appreciation for our individuality, while inspiring each other to thrive in a culture of collaboration and graciousness. We conceive beautiful environments where love, family, and community flourish.